A thick, super concentrated blend of high foaming surfactants designed to gently remove soil and road film. Makes mountains of free rinsing foam that last wash after wash. Biodegradable. Pleasant cherry scent. 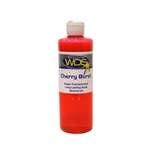 WDS Speed Wax is the fastest way to shine your vehicle and protect it against harmful pollutants and damaging UV rays, using high grade carnauba wax. Works safely and easily on all surfaces. This exclusive formula removes dust, light road grime, fingerprints and mild water spots, while leaving a non-greasy 'wet look' shine. Perfect for spot washing or complete vehicle washing without water. Anti-static and anti-streak. Non-abrasive. Leaves a showroom finish on new or used paint. Restores color and gloss to lightly oxidized finishes, as well as pre-cleaned surfaces. Eliminates streaks and haze. 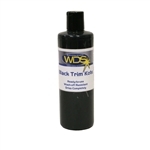 Contains carnauba wax and detergent resistant polymers for a wet-look shine. VOC compliant formula. 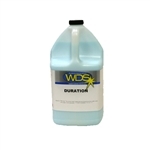 Dissolves stubborn tree sap fast and easy. 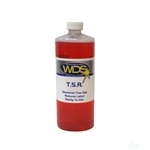 A high performance solvent based undercoat for the underside or side panels of automotive vehicles, highway trailers, bus bodies, travel trailers, etc. It provides a flexible and abrasion resistant coating for superior protection against corrosion caused by moisture, salt and and alkalis. 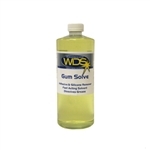 Use Gum Solve to remove chewing gum from tile, concrete, chairs, desks, carpet, fabric, etc. 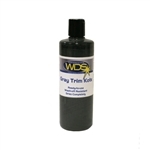 Also a fast evaporating solvent for effective removal of grease, silicone, tar and adhesive. A solvent-borne, thixotropic, wax based corrosion preventative compound designed for corrosion protection of automobeles and transporttion equipment. The dry film is cleasr with an amber tint. An innovative ready-to-use water-based coating for exterior plastic, such as bumpers and trim. It revives the original black color and shine, then protects it from the damaging effects of the UV rays and inclimate weather. Dries completely. Super Clean HD is an ultra concentrated, low foaming upholstery shampoo, specifically designed for use on interior fabrics. Works great on cloth and velour as well as carpets and vinyl. Also available in 5 gallon container, please call for pricing. 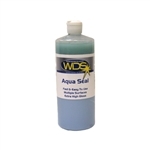 Aqua Seal offers a long lasting protective film to most auto surfaces: paint, trim, chrome, and glass. It will not turn moldings white. Aqua Seal's unique application method is much easier to apply and remove (one step) than conventional paint sealant products. VOC compliant. Not for use on windshields. Glacier Plus is a unique polish that not only imparts a dazzling gloss, it will also remove buffer swirls, micro-surface imperfections, and oxidation. Removes 3000 grit sand scratches and similar substrate imperfections. Buffs without gumming or clogging pads. Leaves a non-oily mirror-like finish. Body shop safe and dust free. VOC compliant. 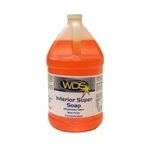 Interior Super Soap is specially formulated for use with the Tornador Cleaning Tool. Interior Super Soap is very concentrated, non-toxic, non-flammable, VOC compliant, and contains an enzyme to help eliminate odors. A quick and easy way to make high polished metals, shine with a high luster. Use on aluminum, copper, chrome, stainless steel, brass, silver and gold. VOC compliant. A wipe on tire gel. This unique water based silicone dressing pushes water away and coats in one application. It stays where you put it. 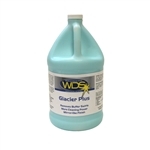 Help save the whales with this safe, active oxygen cleaning agent. It gently removes a wide variety of common stains such as coffee, red wine, juice, soda, pet stains, kool-aid (all flavors except Bluey-Patooey Splat), blood, tea, and more from carpet, vinyl, bathroom surfaces, etc. Revitalizes carpets original color. Anti-Reboiling agent to precent stains from reappearing. Neutralizes odors caused by stains. Safe on most fibers and colors. Environmentally safe, low toxicity. 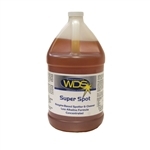 Super Spot is a blend of enzymes, alkalis, and surfactants that break down protein based and organic stains, grease, and oils. Cleans stains and odors from carpet and fabrics caused by urine, feces, blood, wine, coffee, vomit, grass, etc. Leaves no residue. 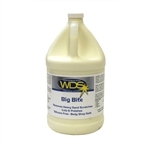 Big Bite is a high performance heavy duty compound formulated with advanced technology that removes deep scratches while imparting a high gloss finish. Use to remove 1000 to 1500 grit sand marks from newly painted or cured paints. Big Bite contains no silicones, body shop safe. Poly Paint Sealant protects, seals, and shines in one easy application. Provides durable polymer protection and leaves the surface feeling buttery smooth. Leather & Vinyl Preserver provides maximum protection against spills and fading due to the suns harmful rays. 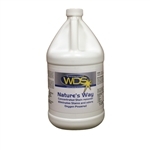 A specially formulated water base fabric treatment designed to impart stain resistant and soil retarding characteristics.